FC Barcelona is the greatest football club in the world in terms of the quality of its sponsorship deals, as calculated by American business journal Forbes. The club’s annual income of 247 million US dollars is 45 million more than that of Manchester United and 47 million more than Real Madrid, who are ranked second and third. And Barça is the only club in the Forbes top three whose sponsorship revenue witnessed an increase on the previous season. While FCB’s income was up by 15 million US dollars, Manchester United’s was down by 12 million on 2017, and Real Madrid’s by 16 million. These figures include both kit and stadium sponsorship agreements. FC Barcelona and Real Madrid are the only La Liga clubs in a Top Ten that’s dominated by teams from the English Premier League, with Manchester United (202 million US dollars), Chelsea (148 million), Arsenal (89 million), Manchester City (77 million) and Tottenham Hotspur (74 million) all featuring. This leading market position ties in with the increased value of the Barça brand. 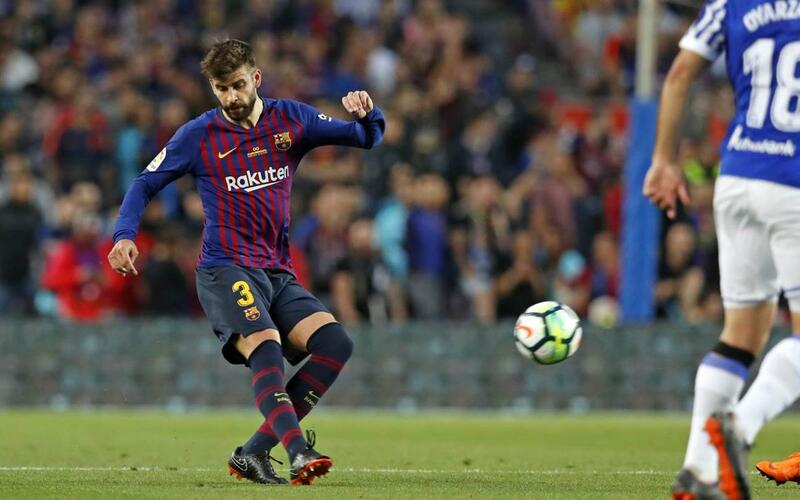 A study conducted by Brand Finance last year revealed that FC Barcelona is now in top place thanks to its deals signed with Nike and Rakuten, along with the majestic double winning season enjoyed on the field. Barça now has a brand ratio of AAA+, and its rating has risen from 95.4 to 96.6. This means the Catalans move above Real Madrid (96.4), with the closest challenges after that coming from Manchester United (94.6), Bayern Munich (93.1) and Liverpool (92.2).